Sri Sri Radha Krishna Chandra Temple is accredited for having the ISKCON’s largest temple complex in the world. Being made by the Iskcon cult, the magnificent shrine is commonly known as Iskcon Temple. Located on west of Chord Road in Bangalore, the colossal shrine sprawls on seven-acres of ‘Hare Krishna Hill’. This outstanding temple is one amongst the best shrines constructed by the ISKCON. Iskcon Temple can be reached easily by taking regular buses, local vehicles or by hiring taxis from the city of Bangalore. The splendid structure of the temple is worth-seeing because the celestial grandeur cannot be bounded in words. Lush green gardens in the campus appear mesmerizing to the onlooker. The temple complex also has an open amphitheatre, where various festivals and concerts are observed. The festival of ‘Janmashtami’ is the major festival that is celebrated here with loads of enthusiasm and devotion. In 2000, this religious program was started to promote world peace and harmony with an intention to chant 1 Billion holy names of Rama and Krishna. The venue for this ‘Nama Japa’ is ‘Harinama Mandapa’, which can be found ahead of the first temple of Prahlada Narasimha. Here, one can see two sets of 108 granite steps, where the devotee can chant the ‘Hare Krishna Mahamantra’ at each step. Following the chant of ‘Mahamantra’ for 108 times, the devotee can enter the Narsimha Temple. This is an unusual program in which, bachelors between the age group of 19 and 29 can take part. The “Friends of Lord Krishna” (FOLK) has been organized to create an understanding of the Vedic culture among the youth of Bangalore. It is held on Saturdays and Sundays, where classes, discussions and practical sessions on Vedic philosophy and lifestyle are undertaken. The temple offers a bowl of ‘Kichri’ (made of rice and pulse) to its each visitor. The vast kitchen of the shrine is equipped with modern equipments and has the capacity to provide food for two thousand visitors per hour. Besides prasadam, the kitchen is also used to prepare variety of delicacies that are offered to the Lord. Recently, they have started a bakery, which has become popular for its egg less cakes and biscuits all over the Bangalore. Following the knowledge of the Vedas, the temple also promotes protection of cows. Being the primary element, Cows are essential for a prosperous and healthy society. Bangalore Iskcon ‘Gaushala’ retains not less than 40 cows. The milk of these cows is used in the making of various dishes and delicacies. This is another scheme to encourage and preserve the conventional art and craft of South India. It supports and promotes the skilled artisans and craftsmen by providing them a channel for their work. The products made under this project are accessible at “Dakshinakriti” (the temple’s sculpture showroom). 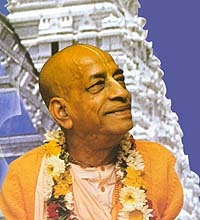 Bhaktivedanta Book Trust is engrossed in translating and publishing Srila Prabhupada’s multifarious works in the Kannada language. Various well-known writers of Kannada language are drawn in to translate the books.